Do I want to go for a light and airy look, or a dark and moody one? Do I like getting those candid moments or do I really want a stylized fine art look (or both)? Should I pick a photographer that uses natural light or artificial lighting? Ahhhh! What does that even mean? You might not be familiar with these terms, or feel overwhelmed, but it’s ok, we've got you! Check out the tips below to get a better understanding of the different choices you have today, and how some of the items we listed above affect how a photographer is going to capture your day. After you finish learning about different styles, read on because in addition to their style, we believe that you need a photographer that fits your personal needs as well. Try the search terms: light and airy photography, natural light photography, photojournalistic, fine art photography, and dark and moody photography. Search for your venue, are there examples here of the style that you like? Example of "dark and moody" AND "light and airy" both using natural light with a fine art approach. Light and Airy Photography | Typically this is outdoor photography that focuses on romance, playfulness and the beautiful colors and hues of nature and golden sunshine. Light and airy photographers may choose to pursue a very light and ethereal look. 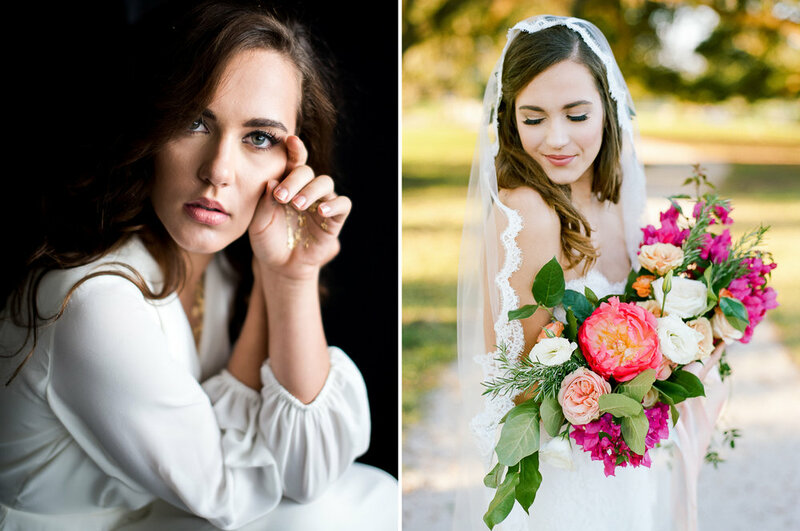 Natural Light Photography | Most people associate this term with outdoor photography and the “light and airy” look, but that isn’t exclusively the case. Indoor photographers can be natural light photographers as well. “Natural Light” indicates that the photog uses sunlight to compose their work, instead of artificial off-camera lighting. Natural light photographers edit and refine their work like all others, but their work has a distinctly more natural feel to it. Fine Art Photography | This one is a little more complex. The gist of Fine Art Photography is that it is trying to tell you something specific. Each photo is intended to stand on its own, as its own work of art. They try to convey things like, romance, anticipation, and the chemistry between two people. They accomplish this by using advanced posing techniques, selective angles, and well curated locations. Photojournalism | Photojournalistic photographers find ways to capture the natural world around them. Wait, that’s just taking pictures, right? Not exactly. It sounds easy, but these photographers have the ability to put a scene in motion and have developed their senses so they can anticipate an eruption of laughter or emotion. Additionally, photojournalistic photographers don’t style their photos as much as fine art photographers do. They either take what a scene gives them, or they change only very minor things before getting their shots. Dark and Moody Photography | Typically an indoor style, but again, not necessarily. This style uses shadow to create more dramatic compositions. You may see more black and white photographs in this genre, as well as deeper and richer colors. Note: These styles aren't all-inclusive. You can have a dark and moody photographer who specializes in a fine art style. Understanding these concepts can help you understand your priorities and what each photog you’re considering can offer you. 2 | HOW MUCH OF A PRIORITY IS PHOTOGRAPHY? Quick Tips: Hiring a wedding planner at the beginning of your wedding planning process can really be helpful. They will know the best places to cut back without affecting your overall design, while still allowing you to hire the photographer you really want. If you are still in need of a planner or vendor in the Houston area, check out our favorites here! Determine how much of a priority photography is and set your budget accordingly. We recommend it to be a top three budget item, and that’s not just because we are biased. The NUMBER ONE regret we hear from married couples is that they wish they had allocated more on photography (if they hadn’t prioritized it in their budget). I can't tell you how many "after sessions" we do every year with couples that didn't invest in photography and ended up being disappointed in their photos. Also, if you hire a great photographer, they can make even the simplest decor and details look like a million bucks. If capturing your big day and sharing it with loved ones and future generations is important to you, I promise you, the investment is worth it. It is the only thing you will have after your wedding day, next to your wedding rings and attire! I know it sounds biased coming from wedding photographers and all, but we felt passionately about this before we were photographers. Next to your wedding planner, you’re going to spend the most amount of time with your photographer. It’s worth getting to know them and how they communicate. Ask them to walk through a typical wedding. How do they handle formal pictures? What photos do they take before and after the ceremony? How do they interact with other vendors? Do they have an assistant? A second shooter? What is their favorite part about their job and what is their least favorite? 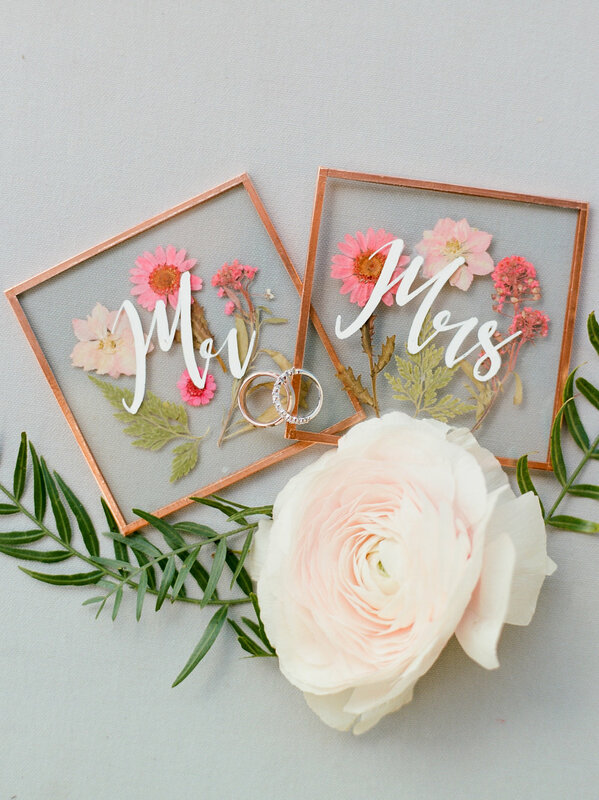 You want to not only take this opportunity to ask about the items that are included in their packages, but to also get to know them and how they’re going to treat you, your guests, and your other vendors on your big day. The chemistry you have with your photographer will show up in your photos. We’ve heard dozens of stories from non-client brides that ended up not loving their photos- not because they were of poor quality or lacking in subject matter, but because they couldn't communicate well with their photographer. It really makes a HUGE impact on whether or not you will love your photos. Ideally, your photographer will have examples from your venue. If not, ask if they have examples from a similar setting or lighting scenario. Sometimes, what photographers show on Instagram can vary greatly from what is in their portfolios. They may shoot beautiful natural light outdoor portraits, but as soon as it turns dark, they they may not be as skilled with artificial lighting or even vice versa! With that being said, since photographers take thousands of photos every year, it’s only possible to show so much. So if not every photo is exactly like Insta, take it with some grain of salt and consider asking why that scene or gallery looks different than another set of photos that you were drawn to. At the end of the day, the only way to understand what you’re going to get, is to see a full gallery. That way you can get a sense for how they shoot details, getting ready, ceremony, reception, and the exit, and you can get a realistic idea of what to expect. 5 | IS GETTING YOUR WEDDING PUBLISHED IMPORTANT TO YOU? Some people want their wedding day to remain a private affair and others want to share their event with as many people as possible. There’s no right or wrong way to view this topic, it’s all about what matters to you. But if getting your event in print or on a blog is important to you, ask your photographer about it. Getting your wedding published takes knowing what publications are looking for. It can be a rewarding, but complex process and a little experience goes a long way. Note: Details and photographic style are king to top publications, especially when it comes to print (magazines). While it is not necessarily always the case, fine art, natural light photographers that showcase and spend time styling details and decor tend to be the most common type of photography that achieves publication. If your heart is really set on a specific publication, pick up the magazine and take a look through the featured weddings. Don't see a certain type of photographic style in there? 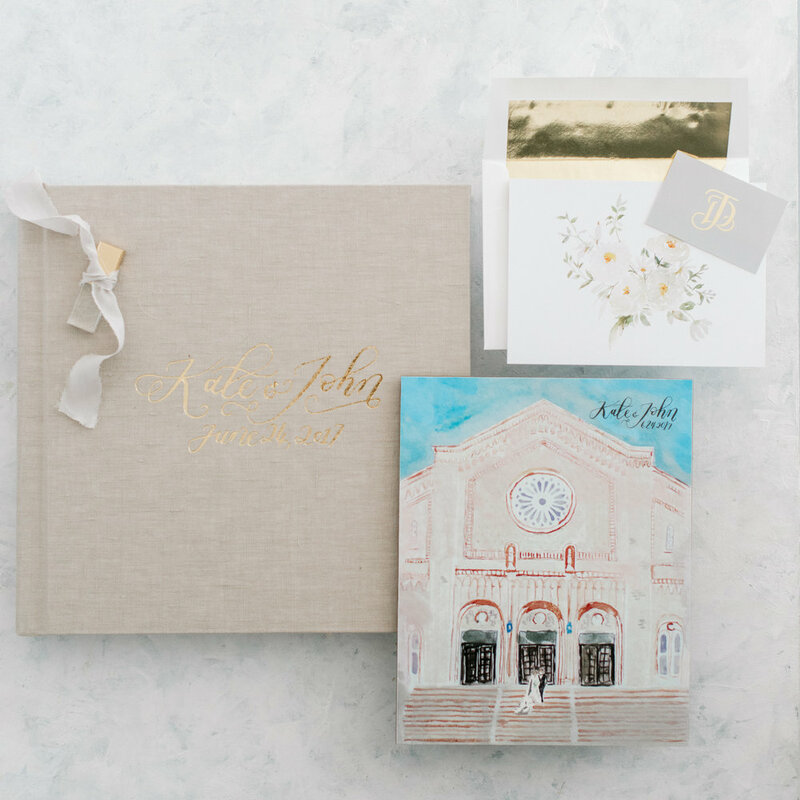 Well, chances are extremely high that no matter what your details and decor are, your wedding won't be picked up because the publication will only accept a certain photography style that will fit their editorial calendar. With that being said, if you really want your wedding to go to a certain publication, your chances of being featured will be the best if your photographer has already been published in that magazine. Also, your chances of landing in a publication are better if your photog has a recent working relationship with editors. 6 | DO THE DETAILS MATTER? Details include the dress, veil, bouquet, boutonniere, florals, invitations, paper goods, rings, shoes, heirloom pieces like earrings, etc. Photographing details is somewhat specialized, so ask to see examples of their work if this is important to you. We recommend working with a planner, but if you’ve decided not to, ask your photographer is they can offer styling advice. This ranges from wardrobe feedback for engagement photos to what to consider for your place settings at dinner. We wouldn’t rule someone out if they can’t help here, but it’s good to ask. Life is in the details! We love details. They’re pretty and there is usually a funny or interesting story behind them. Plus, chances are that you spent hours searching the internet and working with your planner to select the ones that fit the overall look of your wedding day. With that being said, there are some photographers that specialize in styling and who allocate ample time to getting all those details. Others, while they can photograph details upon request, won't necessarily style them in an editorial way because they want to spend more time on the moments, rather than the details. Neither way is best, but if it is important to you, make sure to look at a sample gallery to see if your photographer always photographs the details and that their styling is in line with your vision. 7 | NEED HELP POSING? Everyone has different comfort levels and levels of experience with taking pictures. Ask your photographer how they deal with people that aren’t 100% comfortable in front of the lens. If you are comfortable, ask if they use a photojournalistic approach, or a directed fine art approach (or both). Ok, so time to spill the beans. Neither Josh nor I grew up taking a ton of photos. It took a few years of begging and bribing each other to pose to really be able to relax in front of the camera. The good news is that this led to some techniques that help our clients to relax and to be themselves. There is no substitute for sincerity y'all, just remember that. So please know if the camera makes you a little nervous, its ok! Just make sure you understand your photographer’s approach to helping you. And, like we said, having good chemistry with your photog goes a long way. Note: A good way to figure out if a photographer's approach to posing is what you are in line with is to ask to see a few sample galleries of an engagement session. If you can't imagine yourself in those photos, chances are their posing style will not be a good fit. The reason why there are so many photographers is because we all take different approaches to the art. Our advice would be to find a photographer that is already showcasing a style you want instead of asking them to do something that you don't see already in their portfolio. A contract should protect you AND the photographer. Take the time to read it, and ask questions about things you don’t understand. I know that we have to “click” through terms and conditions for everything these days. Most of the time, we just want to check the box and move on. But make sure you understand what you’re signing. A good contract addresses situations like payment information, what happens if you cancel, what happens if the photographer cancels or gets sick, how quickly you will get your photographs and goods, and copyright and model release info, etc. A good agreement should build trust and understanding. Questions always arise, so make sure you ask before you sign. Also, a lot of the deliverable expectations will be listed in the contract. Not sure when the photos will be ready, how many album proof revisions you get, or if your photos include Photoshop retouching? Chances are, it will be listed in there! 9 | ARE ALBUMS INCLUDED? Don’t assume anything is included. Ask how you will receive your digital files, prints and other goods. Ask to see examples of any albums or prints you’re considering. Think twice before taking the DIY route with albums. The good news is, there are a myriad of packages that photographers offer these days. Some charge only for the service of taking photos and then sell packages that include a certain number of images. Some photographers include the shooting and images and sell additional packages of prints and albums, and others sell all-in-one packages. If you’re able to schedule a face-to-face meeting, ask to see examples of what you’re considering purchasing. Most album companies offer a wide variety of finishes for their albums, so make sure to ask if your photographer has a swatch you can sample. Let’s talk about DIY albums. The good news is that there are way better options for brides that select this route than there used to be. It is still the case that there is a HUGE difference between what all-in-one album services offer, and what you can get through your photographer or professional album company. It isn’t all that expensive to get a museum quality paper that is guaranteed for a hundred years. You, your parents, and your kids are all going to want to see your album, not files on a USB. But here’s something else I want you to consider: it takes A LOT of time. We did a semi- DIY album and it took almost three years to sift through all of the photos, pick the ones we wanted and arrange them, and finally place the order. Y’all, our album weighs 15 pounds. I wish we had the professional options when we got married! If you’re going through the trouble of hiring a talented, professional photographer, at least ask them what options they have for you when it comes to creating take home products. While it may be more expensive than doing it yourself, the hassle, time and quality is definitely worth the investment. Let’s talk timelines. You and/or your planner are going to do a great job coming up with a timeline. But sometimes, people forget to check with the photographer to see how they handle family formals, or how they handle having only fifteen minutes to get a group of shots instead of thirty because bridesmaids were late or hair and makeup went over. Hiring a photographer that can work on the fly (with positivity!) can sometimes be just as important as the quality of their photos. Because, what does it matter how good they are if they need perfect conditions and perfect timelines in order to get something close to what you saw on their Insta feed? Your day will be amazing, but you need someone who knows how to adapt when the timeline shifts a little. Note: The best way to figure out how your photographer approaches the wedding day is of course to ask them. When possible, ask your planner (if they have worked with them before) or a past bride because they can give you the most unbiased feedback. Ok, this maybe is a little selfish of us, but it makes the wedding world a better place. You’ve met with your short list of photogs, and you found the one. You’ve seen the gallery, they’re on their game with the timeline and they even offer you that amazing fine art album and matching parent album. Sweet! We’re really excited for you! But one little favor to ask- please let the others that you’re not going with know that you’ve decided to go with another option. Just a quick, “Hi photographer. Thanks again for meeting with us. We enjoyed meeting with you, but we decided to go with another option. Have a great rest of your wedding season and best wishes, Your Favorite Bride That Got Away”. Boom. They’ll totally understand, and trust me- you’ll make their lives a lot easier for having done this. Your karma jar is now full! PS. Depending on your preferences, a photographer can be a top three investment for your wedding day. It is a big decision. These are some of the things we want our clients to know most about the process. If you have any questions we can help you with, please feel free to reach out to info@danafernandezphotography.com! Thanks for spending some time with us!